The satellites will start for EuroCenter Poker Tournaments! 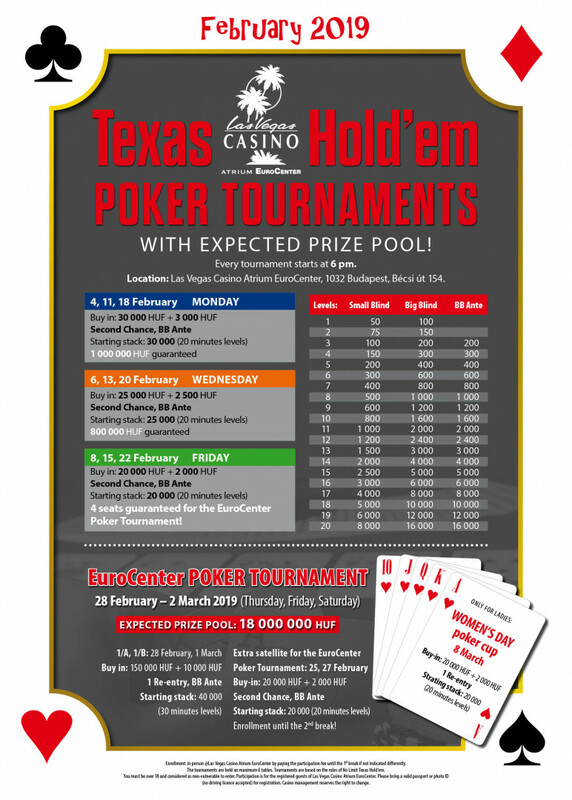 The satellites will start for EuroCenter Poker Tournaments on the 4th of February! Expected prize pool 18.000.000 HUF! Every tournament starts at 6 pm! Location: Las Vegas Casino Atrium EuroCenter, 1032 Budapest, Bécsi út 154.